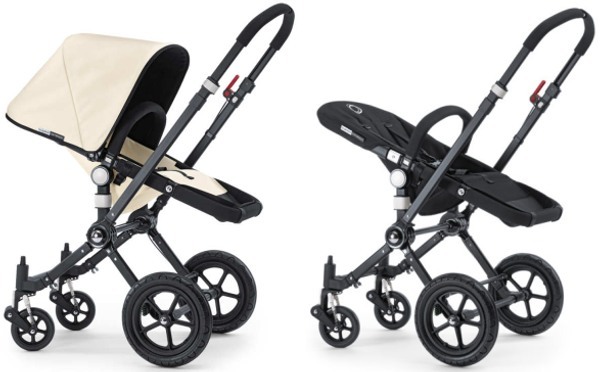 Babyology Scoop - two Limited Edition Bugaboo Cameleons for 2010! Babyology Scoop – two Limited Edition Bugaboo Cameleons for 2010! We have an exclusive scoop just for you! Get ready, get set for the Australian release of a new breed of Bugaboo – the Limited Edition Cameleon! Lovers of monochrome are going to be crazy about the two gorgeous new versions available. As a die-hard fan of the colour black (yes I wear lots of it) my heart nearly leapt out of my chest when I saw the beauty of the Cameleon dressed in its very own black getup. In May, select stores will receive limited stock of the first of two versions available. 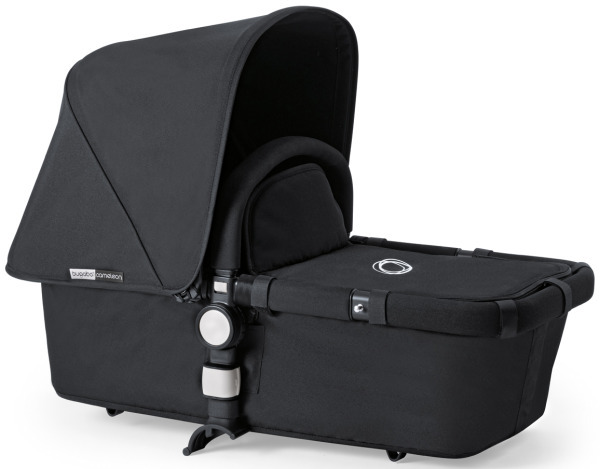 It’s all black, featuring fabulous black frame, black fabrics with black binding, and a striking white Bugaboo logo. This is Bugaboo by stealth; the mysterious model stunning everyone in its path. The second version will hit stores in September and celebrates the loveliness of two-tone style in off-white and black. This version also has the black frame and the fabrics are off-white on the surface, with the underside black. The underseat bag will be black, as will all bindings. This one borrows from lush Top Deck-style chocolate, with New York Fifth Avenue high-end style. Those who are done with babymaking may watch and weep, while those of us with some pramming days left, plot to obtain one of these sleek machines. Then there are those with babies on the way who were going to buy a Bugaboo Cameleon anyway – it’s all in the timing and these were made just for you. Happy pramming peoples! Update – you can buy the all black model online at Minimee. 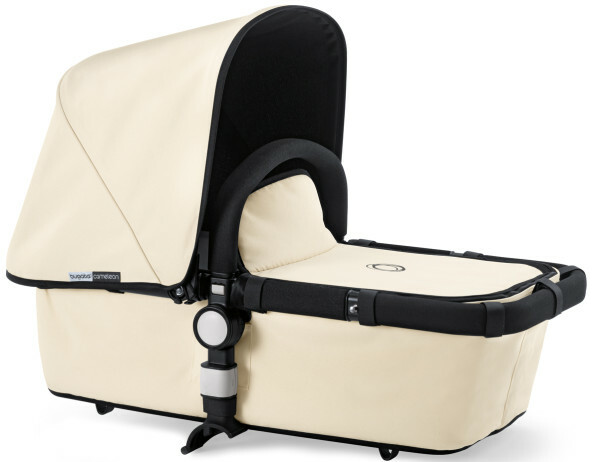 The off-white model is now available for pre-order from Baby Village. Stock arrives first week of September. If you’d like to compare of the features of this product with other prams on the market, please check out our fabulous Chooser.